Take the Side Street: White Slipcovered Couches - A Dream Come True or a Recurring Nightmare? White Slipcovered Couches - A Dream Come True or a Recurring Nightmare? ﻿Okay, peeps. I have visions of white slipcovered bliss in my living room. 2. Seville Rush Cube from Walmart.com. Woo, look at me getting off topic! Back to slipcovered couches. I love the clean, classic look of slipcovers; I love that you can pop them into the wash when they need it; I love that you can change the look of your furniture if you so choose, all while keeping a clean line since the covers are fitted. Love! 1. I'm a big fan of doing things on a budget, especially if I can get a classic look for less money! Anyhoosies. Expensive furniture is not really in my plans until my kids graduate high school and my husband inexplicably slows down or gets old enough to require the use of a walker, thereby drastically minimizing the chances of another flying leap couch-breaking incident. 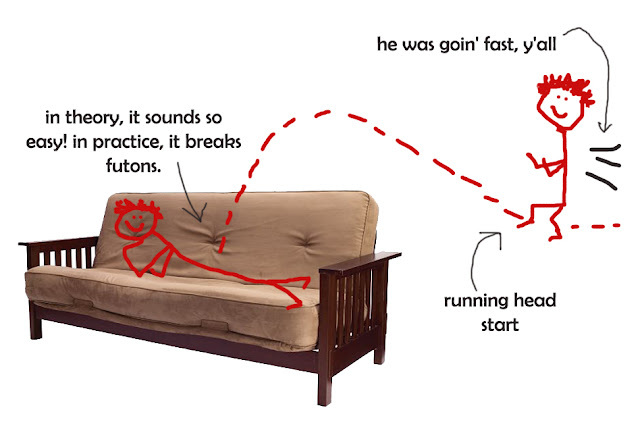 And that IKEA Ektorp sofa? Is only $799! And I've heard pretty good things about it, especially for the price. I die. 1. I'm not insane, I promise. 2. My kids don't eat in the living room. 3. I'd probably get an extra slipcover so I could switch them out without leaving the couch naked. 4. This is not happening in the near future, I'm just a planner. And I want one soooooooooo bad. White fabric of any kind, even slipcovers would not make it into my house, ever. Between my boys, my clumsy hubby, and my little dog (also white, and I have trouble keeping her looking clean! ), it's just too hopeless to contemplate. I don't like doing laundry that much. Well I DO have pets, but our dog doesn't get on the furniture and our black cat barely sheds -- we have white bedding and only after quite some time do I notice some hair. The thing is, if I HATED it I could always buy a slipcover in a different color -- but I think the IKEA option sounds inexpensive enough that I won't want to keel over and die when someone sits down on it, you know? So, go for it. I bet you'll love it, and if you don't make sure you let me know before I buy one! Hee hee. 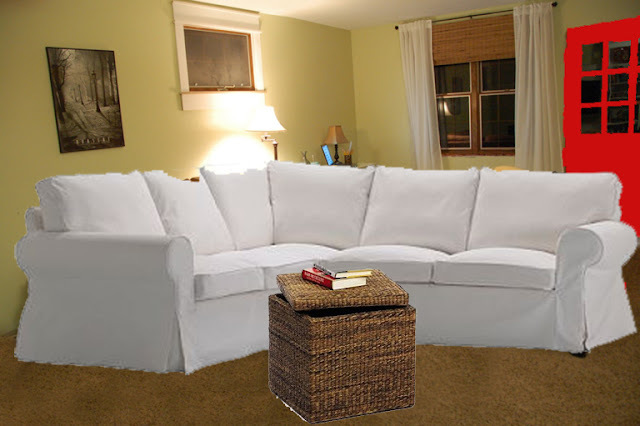 I made my own white denim slipcovers for a sectional we bought from Macy's a year ago. I love them 10 times more than I thought I would (3 cats no kids).